While the sight of the New Year's Ball completing its drop to signal the start of 2017 might be welcoming to some people, Philadelphia officials are warning residents against sending other projectiles into the air in celebration. 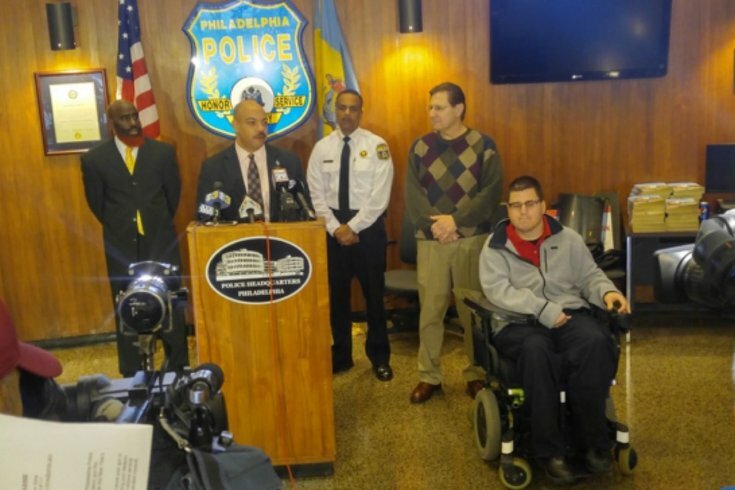 District Attorney Seth Williams and Police Commissioner Richard Ross reminded city residents on Thursday that firing weapons into the air will not be tolerated. “What goes up, must come down, so be responsible this New Year’s Eve and do not shoot your gun in the air as you ring in 2017,” Williams said. Those who are caught in the act could face a charge of recklessly endangering another person, which carries a sentence of several years in prison. Joe Jaskolka, who was a victim of "celebratory gunfire," joined city officials at the press conference to share his story. On Dec. 31, 1998, 11-year-old Jaskolka was walking along a South Philly street when he was struck in the head by a bullet. After more than 50 surgeries, he is paralyzed on the right side of his body and lost the use of the left side of his vocal cords. The person who fired the bullet has never been caught. Ross noted that the Philadelphia Police Department received 132 reports of gunshots fired last year in the city between 10 p.m. and 3 a.m. during the New Year's celebration. On average, 10 reports of gunfire are reported daily. “There is zero tolerance for this type of behavior and we will arrest those committing these types of acts; we want people to ring in the new year in a responsible, fun and safe manner,” Ross said.